I’m so excited to share this interview I did with Brendon Burchard! 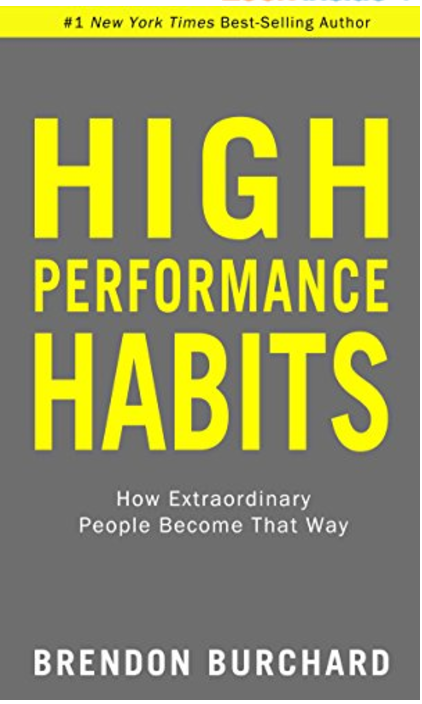 In this interview Brendon and I talk about his book High-Performance Habits: How Extraordinary People Became That Way. For a long time I was one of Brendon’s fans, and in recent years I’ve been lucky to call him a friend! If you’re not familiar with Brendon Burchard, here’s a quick intro. Not only is he a super-generous person who has given me life-changing advice over dinner (and then picked up the tab), but he’s also the world’s leading high-performance coach and a #1 New York Times bestselling author. I sat down with Brendon to talk about High-Performance Habits and came away so excited to read this book. PLUS, he’s gifting Spirit Junkies his FREE assessment for a hit of clarity and motivation right now. Anyone can be a high performer — it’s not just for CEOs or athletes. High performance simply means sustained success over the long term, in whatever ways matter to you, and living a joyous and confident life. Brendon and his collaborators did a massive, 3-year study on people from all over the world. They found that high performance isn’t associated with age, gender, personality or where you’re from. It’s all about developing the right habits. And that’s what he teaches you in High-Performance Habits. These habits help you go bigger and grow by leaps and bounds! It’s about breaking through and getting to the next level in every area of your life, from your health to your career. Brendon and his team started by identifying more than 100 habits, and boiled them down to just six habits that work for EVERYONE. Generate energy. High performers are way more likely to exercise three to five times a week. You can move however you want. Raise necessity. High performers mentally raise the importance of doing a good job. They own it! Increase productivity. This doesn’t mean blazing through a super-long to-do list! It’s not just about achievement, it’s about alignment and knowing what to focus on (and what to say no to). This habit will seriously help you bust through blocks! Demonstrate courage. High performers tend to speak up for their ideas and speak up for other people’s ideas. This habit will also give you the confidence to work toward your goals even when you don’t know what the end result looks like! When you practice the six habits together, the study shows you’ll be happier, feel healthier and just feel BETTER every day. Plus, Brendon makes it easy to develop each habit by giving 3 simple practices for each one. After you watch the video below, download Brendon’s free assessment. It will give you amazing clarity and psych you up! The next move is to read Brendon Burchard’s book, High-Performance Habits: How Extraordinary People Became That Way. This book is for anyone and everyone. Comment below and let me know what you learned from your free assessment! This is so amazing and super exciting. So great to see this all broken down for people. I’m an interior designer who specializes in designing spaces with soul and recently wrote a blog on the importance of incorporating home temples into modern interior design and how it could encourage the development of good habits. I think it really relates to that first habit of clarity. Thanks guys absolutely love this interview, so clever and life changing! i just ordered my copy on iBooks. this is so great, thank you for sharing. i am in your SJM digital course right now and stuck on get my L3 so this is perfect and am really looking forward to this! AMAZING mama!!!! This is amazing!!! I’ve been working with a HP Coach and it’s opened my eyes to so many areas of weakness that I had! Shifting the needle is key! Hola Gabby, Allison, Brendon and Spirit Junkies!! PREEEEACH! Love this! “Too much hustle not enough alignment.” I’m gonna pre-order. And, being courageous, I’m going to to post my website, just before it’s done, to get me moving faster. I can’t wait to be a woman with a website again! Super soon! 2 of my favorite people! I cannot wait for both of your next books coming out! I have learned so much from both of you! Thank you! this is amazing, fun to see this type of info with SO MUCH RESEARCH backing it! Love you both! Gabby, silly question, where is your t shirt from? Sorry but I need it! Thanks for sharing your interview with Brendon! I really liked the research he conducted and the ideas he puts forth. I took the quiz and see that I need improvements in clarity, influence, and courage. So it looks like it was a good idea that I signed up for your Spirit Junkie digital masterclass! Your digital masterclass is definitely helping me take steps towards improving clarity, influence, and courage. Thank you! I can’t wait to check out Brendon’s book as well! I love you and Brendon so much, and have been following you for a few years now (since the beginning of my healing journey). It really spoke to me, too, when he mentioned what one woman said: “I have no problem achieving; I have trouble aligning.” I feel the same way. I try to be conscious of my go-go-go attitude, and be easy on myself if I don’t check off everything on my to-do list. I want to achieve more BECAUSE I am aligned, not because I’m trying harder (already got that down!). 🙂 Thanks Gabby, again, for inspiring me to pick up love and be spacious enough to receive. so happy this is serving you! My world has been expanded by both of you!!!! Wow! This was a great interview. The Quiz was very helpful. I’m working through your 40 day guide of May Cause Miracles right now, I’m right on the verge of breaking through some big things and this interview is also quite supportive in my current path. Thanks for all that you are bringing to our universe. I love all the clarity and positive support!!! Overall score 4.01 — I have a feeling this will change once I break through a few of my strong limiting beliefs and this book by Brendon will be next. both books will be awesome for you! Your blog and this interview and all the content and value is awesome, I just joined your website but have been watching, reading, and listening to you (starting with your podcasts) for quite some time now and I just wanted to say thanks for being such an inspiration and posting videos like this for free! Glad you and Brendon are finally working together because the energy both of you create together is definitely something unique. Wow! Wonderful interview. Just took the assessment and feeling excited to read the book. Thank you! It’s awesome! You’ll love it!